UKMSSB Recruitment 2017: Uttarakhand Medical Service Selection Board shortly known as UKMSSB. Uttarakhand Medical Service Selection Board dispatched a recruitment to fill up 712 Ordinary Grade Medical Officer Vacancies. Candidates who had completed their graduation and searching for government jobs in Uttarakhand then it is an excellent opportunity for the job seekers. We suggest all the applicants must read the entire UKMSSB Recruitment 2017 Notification and apply as soon as possible. Utilize this chance and apply before 20th October 2017. The Education Qualification for Ordinary Grade Medical Officer Jobs is must complete M.B.B.S. Degree or equivalent degree from any university recognized by the Medical Council of India / Post Graduate Degree/ Diploma or Equivalent. Interested candidates can submit the online application form before the closing date. If you want to make your career in Uttarakhand Medical Service Selection Board then apply for UKMSSB Recruitment 2017 Notification. Furthur details about this jobs such as Education Qualification, Application Fee, Age Limit, Selection Process are mentioned in the below section. As mentioned in the official notification the candidates minimum and maximum age limit are 21 to 42 years. If you are interested in Medical Officer Jobs then apply for UKMSSB Recruitment 2017. Scroll down and check more details regarding UKMSSB Ordinary Grade Medical Officer Vacancies. The organization is inviting the Application Forms from 06th September 2017 to 20th October 2017. All the candidates who are willing to apply for UKMSSB Jobs must fill the online application form and submit before the dead line. Refer the official notification for more details about 712 Ordinary Grade Medical Officer Vacancies. Download the UKMSSB Recruitment 2017 Official Notification which is provided at the bottom of the page. The Uttarakhand Medical Service Selection Board is going to conduct the Interview round for the applied candidates. Follow the below article and check more details about UKMSSB Ordinary Grade Medical Officer Recruitment 2017. If you are suitable for Ordinary Grade Medical Officer Jobs then fill the application form. The General and OBC Candidates must pay Rs. 2000/- as application fee. And remaining category candidates such as SC/ ST/ PWD/ Ex – Serviceman they need to pay Rs. 1000/- as an application fee. Before filling the form once check the mandatory details which are mentioned in this article. And also, applicants can check the official notification. Selected candidates for UKMSSB Ordinary Grade Medical Officer Jobs will receive Rs. 56, 100/- to Rs. 1,77,500/- per month along with grade pay. This is a great chance for the candidates who are looking for Latest Government Jobs in Uttarakhand. We insist all the applicants if you are eligible for this jobs then apply for UKMSSB Recruitment 2017. Read the complete notification and apply. The selection process will be based on the interview. So, prepare well and crack UKMSSB Ordinary Grade Medical Officer Jobs 2017. The Age Relaxation is as per Uttarakhand Medical Service Selection Board norms. Those who are interested and eligible can download the application form and submit before 20th October 2017. In the below section candidates can check simple steps to apply for recruitment. On our website sarkarirecruitment.com, all the candidates can check latest and upcoming state and central government jobs. By visiting our website you can easily check Uttarakhand PSC Jobs. The Uttarakhand Medical Service Selection Board (UKMSSB) inviting the application forms to recruit talented candidates for 712 Ordinary Grade Medical Officer Vacancies. From here we gather all the stuff related to UKMSSB Recruitment 2017 Notification. So, follow the given information and apply before the last date. Visit the official website of Uttarakhand Medical Service Selection Board (UKMSSB) for more details. On our website, job hunters can find the latest Syllabus and Previous Papers. For more Bank Job Notifications candidates can check on our website. We are providing all the genuine information for all job seekers. We are here to inform that all the recruitment details. Prepare well and crack the interview round. The candidates who got selected for Ordinary Grade Medical Officer Jobs they will receive good salary package offered by UKMSSB officials so grab this opporutnity. 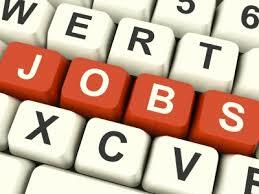 Visit our website regularly and check more job openings in Uttarakhand State. Aspirants must complete M.B.B.S. Degree or equivalent degree from any university recognized by the Medical Council of India / Post Graduate Degree/ Diploma or Equivalent. Along with PG Degree/ Diploma or its equivalent degree recognized by the Medical Council of India Act, 1956. As per the official notification, the aspirants who are willing to apply for UKMSSB Ordinary Grade Medical Officer Vacancies the minimum age limit is 21 and the maximum age limit is 42 years. For General and OBC Category Candidates – Rs.2000/-. For SC/ ST/ PWD/ Ex-Servicemen Category Candidates – Rs.1000/-. The candidates who had applied for UKMSSB Recruitment 2017 must face the interview. The candidates will be selected based on their performance in interview. For more details refer the official recruitment notification which is mentioned below. The aspirants who will be selected for UKMSSB Ordinary Grade Medical Officer Jobs they will get RS. 56,100/- to Rs. 1,77,500/-. First of all interested aspirants must visit the official website of Uttarakhand Medical Service Selection Board (UKMSSB) ukmssb.org. The official notification will be appeared open the UKMSSB 712 Ordinary Grade Medical Officer Vacancies notification. Read the details and fill the application form. Pay the prescribed application fee and submit the form. Take the printout of the application form for further usage. The Online application form released date: 6th September 2017. The last date for online application form submission: 20th October 2017. The closing date for fee payment through online: 20th October 2017 up to 23:59 hrs. The Official Website of Uttarakhand Medical Service Selection Board (UKMSSB) is ukmssb.org.